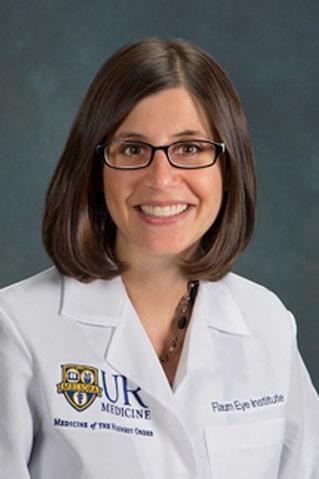 Dr. Melanie Shearer is a native of Webster, New York, and part of the Flaum Eye Institute's Well Eye Care team. She is a graduate of S.U.N.Y. Geneseo and received her Doctorate of Optometry from S.U.N.Y. College of Optometry, where she was valedictorian of the Class of 2009. She has more than seven years of clinical experience in eye care as a private practitioner and through the Association for the Blind and Visually Impaired, where she was also an adjunct Clinical Professor of Optometry for SUNY College of Optometry Interns. As a member of the Well Eye Care team, she routinely screens for and treats common vision conditions in children and adults. These may include refractive error, dry eye, glaucoma, corneal issues and diabetic eye disease. Based on the level of a patient's problem, she may refer to a general ophthalmologist, or subspecialty ophthalmologist, for surgery or complex medical therapy. Dr. Shearer also co-manages cataracts with her ophthalmologist team and routinely performs many of the pre- and post-operative steps in the treatment process. She is a member of the American Optometric Association, the New York State Optometric Association and the Rochester Optometric Society.